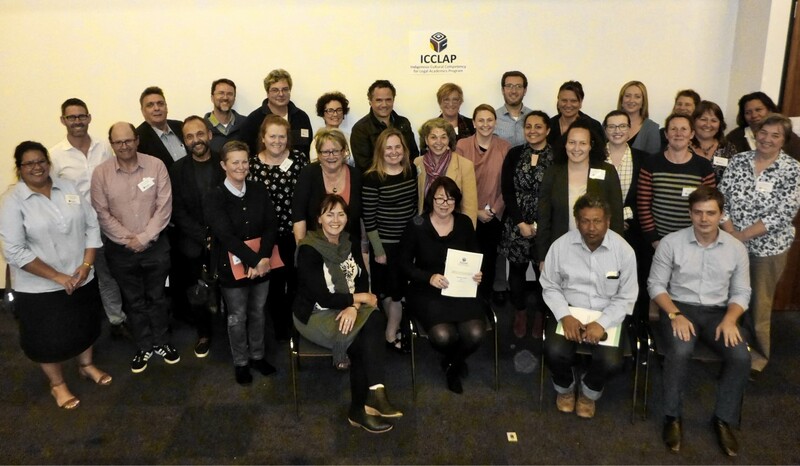 On 11-12 September a large group of academics from around Australia attended the Indigenous Cultural Competency (ICC) in Law: Deliberating Future Directions Workshop in Melbourne, a cross-institutional project of UNE, UTS, RMIT University, ANU and QUT. 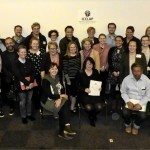 Adelaide Law School was represented by Dr Francesco de Zwart, Lecturer and the Faculty of the Professions by Christopher Davis, Manager, Indigenous Engagement and Development. Both attended the Workshop in preparation to teach three weeks of seminars in the Legal Theory and Indigenous Perspectives Module presented to first-year students in LAW 1501 Foundations of Law to complete Semester 1. Those seminars and accompanying lectures also included structure, readings and content from Prof Alex Reilly and Karen Fairweather. On Day 1, participants in the Workshop heard from influential Keynote Speaker Nicole Watson, Senior Lecturer, Sydney Law School and experienced panels of speakers on important topics including ‘studying law from Indigenous and non-Indigenous perspectives’ and ‘understanding ICC pedagogy more deeply’. In groups, participants explored topics including ‘what are the critical success factors to achieve an ‘ideal’ ICCLAP curriculum?’, what that success would look like and the ‘roadblocks, obstacles and tacit assumptions that get in the way of achieving the ‘ideal’ ICCLAP curriculum’. On Day 2 participants encountered presentations and discussions including ‘specific strategies that have worked and why’, ‘how we would make significant progress in each of our ICC Ideals within the next year’, the changes that would need to be implemented to accomplish the strategies and the necessary resources. The Workshop was a success for all attending. This entry was posted in Events, News and tagged Indigenous Cultural Competency in Law. Bookmark the permalink.